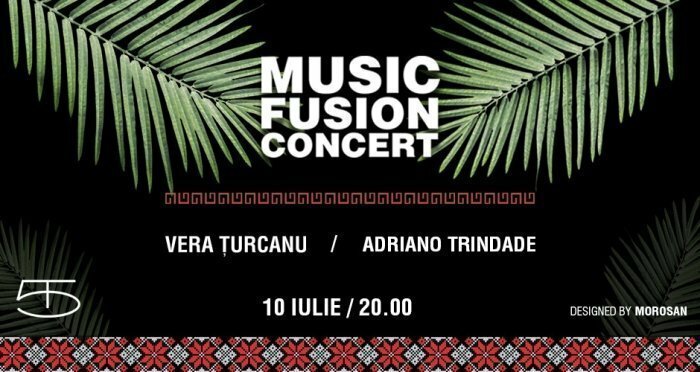 Trupe tinere, dar și artiști de talie mondială vin într-un concert incendiar ca vara asta - MUSIC FUSION CONCERT! Vera Turcanu- interpretă, actriță și compozitoare! Studii: AMTAP- Actorie, Teatru, Cinema. 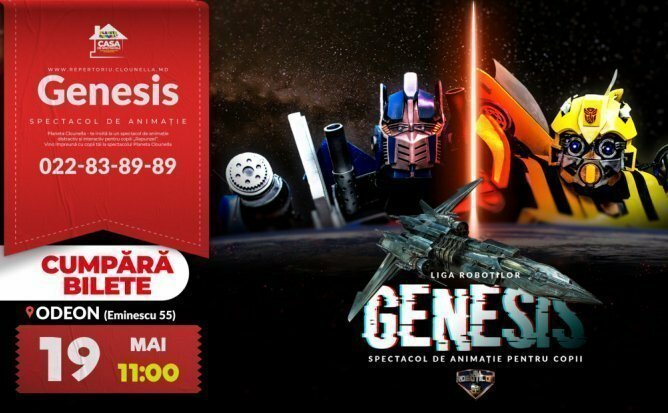 Cunoscută din 2013, atunci când se lansează ca solistă a unui band autohton. 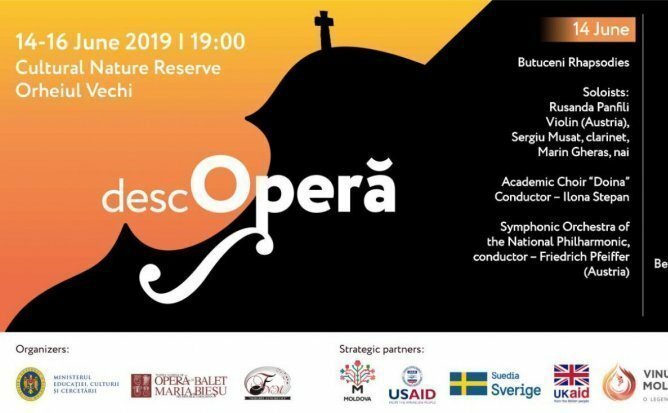 Participantă la Eurovision și a multor festivaluri. 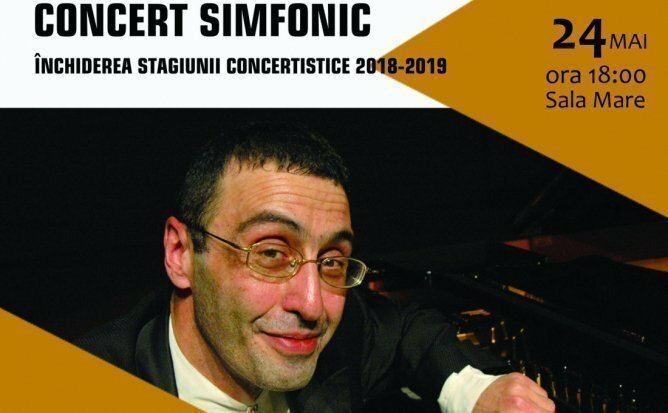 Bandul este format din prieteni - muzicieni foarte talentați. 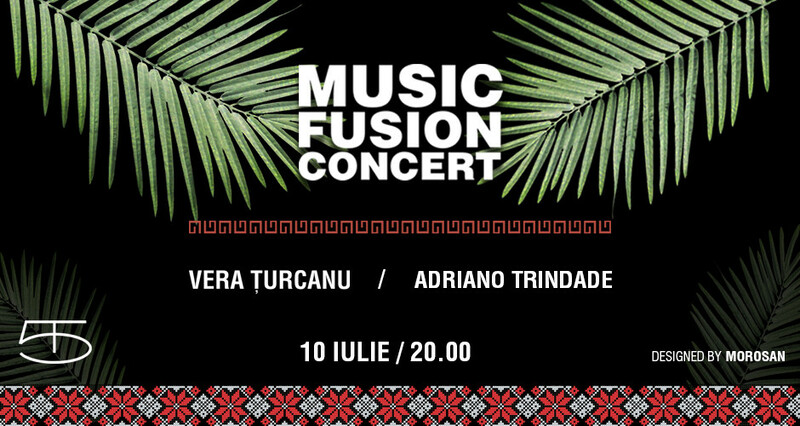 Brazilian musician Adriano Trindade plays Jazz/Brasil and samba-rock (from Brasil). Going through several countries including the Netherlands, Belgium, France, Spain, Italy, Ireland, Scotland, Switzerland, Chile, Uruguay, England, New Zealand, Denmark, Germany, Czech Republic, to name a few, one can already say that Adriano is a citizen the world. Considered the precursor of samba-rock in New Zealand and Europe, where he lived for eight years, Adriano Trindade has always been ahead of samba-rock movement that swept London and Paris for a few years, where the shows took place at the renowned Favela Chic, known playhouse worldwide. One of the deepest passions in my life is Music! I love it, and I love to present it to the public. I'm in to numerous musical genres, mostly electronic ones, so I could play different stuff at one party, from Ambient/Chill Out/Lounge, Reggae/Dub to Nu Disco, Midtempo, Hip Hop, Bass/Techno/Acid/House, Dubstep/2Step/Garage, Trap, Drum and Bass. During lifetime i was inspired by different artists, such as: Skrillex, ZHU, Jauz, Benny Benassi, Bonobo, A-Trak, Bjork, Bob Marley, The Bloody Beetroots, Justice, the 80's disco period, and maaaany more. Usually, I play at parties in small local clubs, and I like it! Small clubs are Hot when are full of people. Also I'm involved with my body & soul in "Chisinau Urban Beatz". 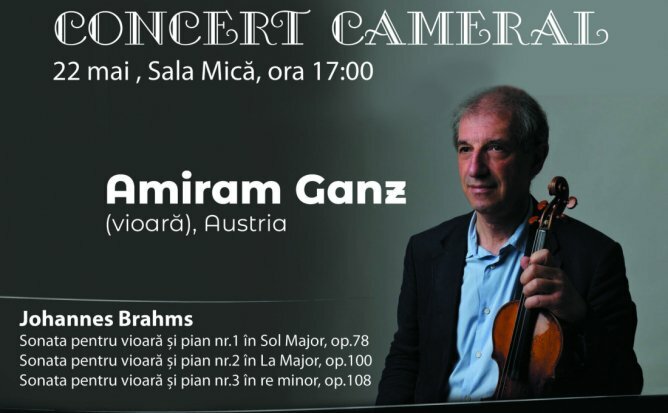 Vă invităm pe toți, cei însetați de muzică bună la Tipografia 5, pe 10 iulie, ora 20.00. Eveniment organizat de TRIO EVENTS.